APC governorship candidate in Lagos, Babajide Sanwo-Olu, says his aspiration was to be appointed chief of staff to the governor but “God has turned the table around”. Sanwo-Olu promised to “carry everyone along” if elected. He made the pledge on Sunday at a special prayer session organised by the Nasrul-Lahil-il-Fath Society (NASFAT) at its headquarters in Alausa, Ikeja. The APC candidate said his priority would be infrastructure development. “I will carry everyone along as a governor. In the NASFAT’s prayer for me, they advised me to choose good adviser and be a listening governor,” he said. “Four years ago, my deputy wanted to be the governor and I was aspiring to be the chief of staff but now God has turned the table around. Sanwo-Olu said he would give education the desired attention if elected. “We will also be looking at the area of empowering the youth. The private sector is the engine of growth and development; so opportunities will be given to private sector by ensuring easy way of doing businesses in Lagos,’’ he said. Obafemi Hamzat, deputy governorship candidate, urged religious leaders to place a premium on the well-being of every Nigerian citizen, saying that government cannot do it alone. “We have more religious houses in Lagos State than schools. Why are the religious organisations not making an impact? “Religious houses have a duty to make life more meaningful and abundant to the citizens,’’ he said. Sanwo-Olu said bad leadership is the cause of the ongoing brain drain in the country. “It’s a shame our youths are seeking greener pastures outside the country. In spite of our human and natural resources we are still poor due to bad leadership,’’ he said. Hey Buddy!, I found this information for you: "I Was Aspiring To Be Chief Of Staff But God Turned The Table Around – Sanwo-Olu". 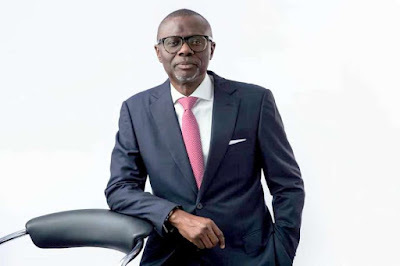 Here is the website link: https://headlinenews365.com/i-was-aspiring-to-be-chief-of-staff-but-god-turned-the-table-around-sanwo-olu/. Thank you.